This is a dish that many people are probably not familiar with. 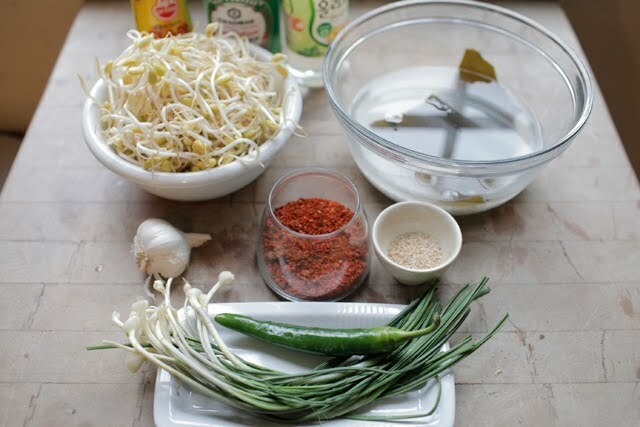 It's rice cooked with bean sprouts and topped with a sauce. Very simple and very healthy. I remember my mom cooking it for us when we were bored with regular rice. Could be good for pregnant ladies who don't have much of an appetite, as Jeana also really liked this one. The key is in the tangy spicy sweet sauce mixed with the fragrant veggies. 1. 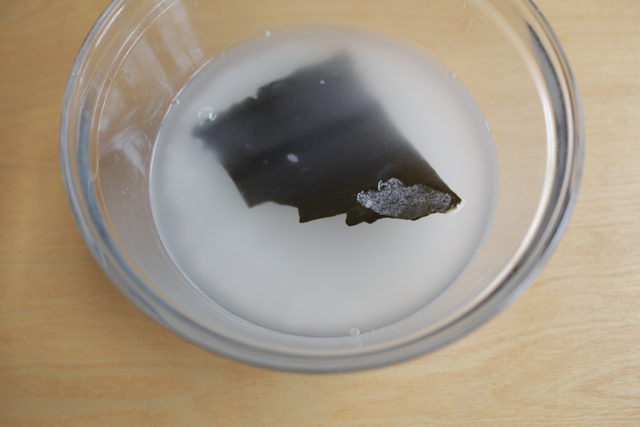 Put the water, rice and kelp in a bowl and let it sit for at least 1/2 hour. 2. Drain the rice and save the water it was sitting in. Put the rice in a sauce pan on medium heat. Add 1 1/4 cup of the water you saved. 3. 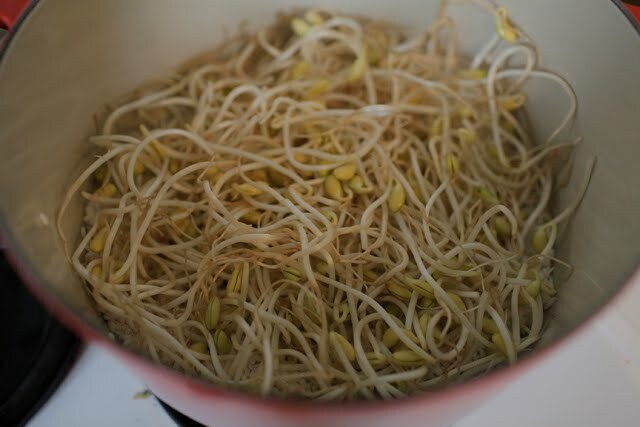 Add the bean sprouts and put the top on. Bring to a boil. 4. 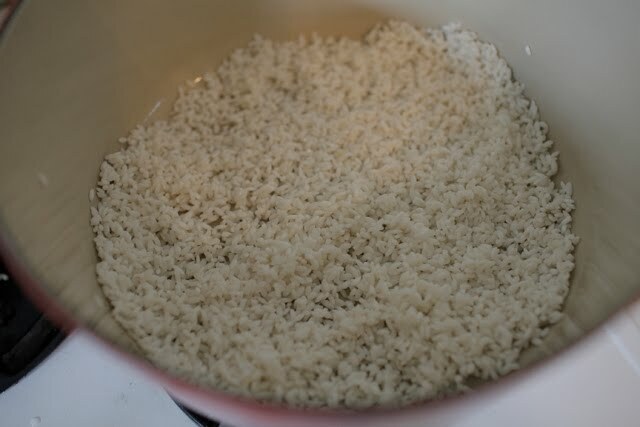 Flip the rice over before it has a chance to stick to the bottom. Lower heat and put the top back on. Simmer on low for 10-12 minutes or until the rice is done. The water should be all evaporated and the rice cooked through. 5. Mix all the sauce ingredients in a bowl. 6. 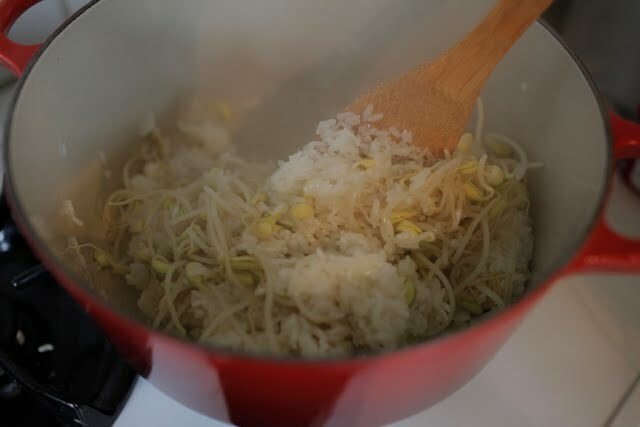 Place rice in the bottom of a bowl and top with the rucambole and sauce. Enjoy with some kimchi, of course. Thank you so much for this recipe and your blog! 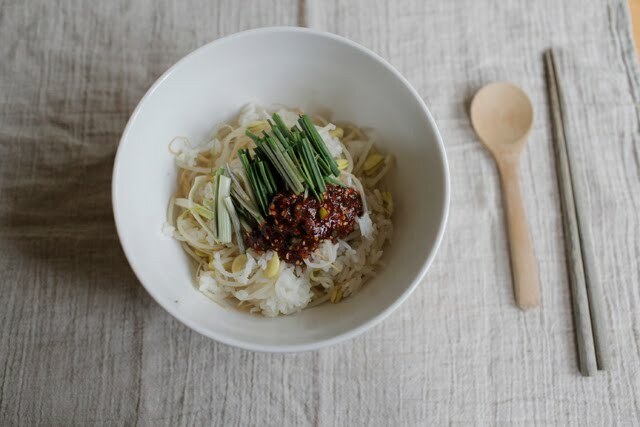 My grandma used to make kongnamul bap for me when I was young and it brings back many comforting memories. I'm a korean-american girl, born and raised here and trying to discover my roots. What better way than through food. I'm totally inspired to keep digging through your blog. Thanks again! rucambole is something I've never heard of before! I'll have to check it out next time I'm at Zion market. Thanks for the wonderful recipes and the beautiful photography to go along with it! your blog very interesting ... greetings .. I love Bap Story but can I make a suggestion? Could you provide links for some of the pantry staples? 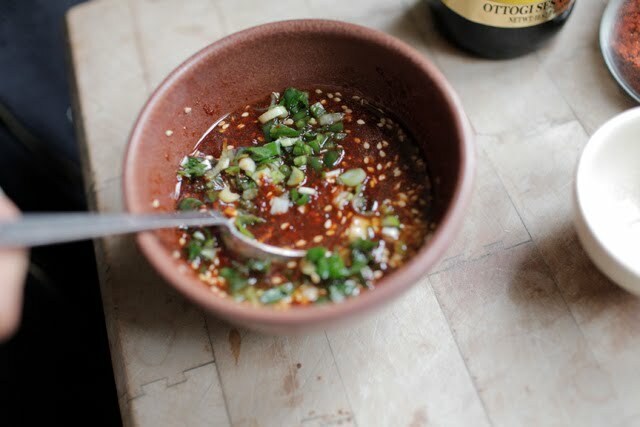 You often reference items like red chile powder, red pepper paste, and Korean cooking syrup that are hard to source without an Asian market nearby. I'd like to think I would be able to recognize them based on your photos, but links would be much handier! By the way, those curried fried potatoes are the bomb. Thank you so much for sharing that recipe. That is a great idea. Will post something on that soon. Thank you so much for these recipes! Even though I grew up eating korean, I felt like cooking korean was so intimidating but you're making it so much easier. kongnamul bap is one of my favorites and just what I have been craving! Thanks for sharing the recipe!It's totally amazing!I tried and found that it's really tasty!